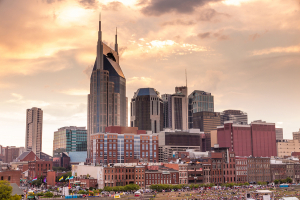 Nashville, Tennessee, shown is the downtown skyline at twilight, will host the ACFW Conference in 2016. Registration for the American Christian Fiction Writers 2016 conference is now open. If you’ve never attended the ACFW conference, you’re missing a special opportunity. One that will connect you with other writers, help you learn the craft, and build your writing career. I attended my first ACFW conference almost eleven years ago. The friendships I made, and the craft I was introduced to that week, changed the direction of my writing path, eventually leading to my finaling in Genesis and the publication of my first novel.